‘Venice Story’ is a new storytelling project dedicated to finding, capturing and sharing the stories and thoughts of every day Venetians. Brad Neal tells us an account of the fire that destroyed all his material possessions, but also showed him the love that exists in the Venice community. Recorded Jan 6 2014 by Venice Stories. VAC Sponsor Interview: Cairo Cowboy! If you don’t know already, the Venice Art Crawl monthly mixer is coming up THIS THURSDAY, Jan 23rd, at Cairo Cowboy Mediterranean Grill in Venice Beach! 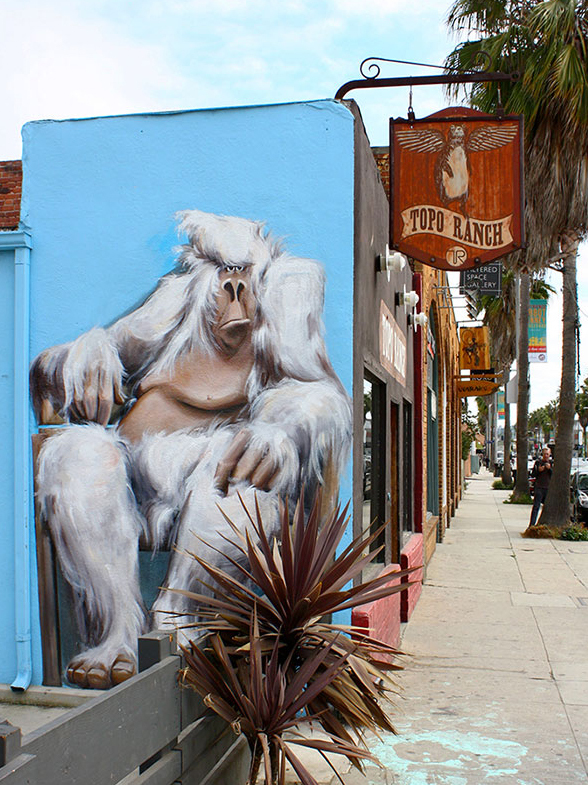 We were able to snag a drink with the founder of Cairo Cowboy, “YL,” and ask him all about how he started his amazing restaurant and we even learned a little bit of Venice Beach history on the way! Gabby: How long has Cairo Cowboy been in business and how did you guys start? YL: We have been in business for 2 ½ years. We started with a truck four years ago before we opened this spot. The truck traveled all over— from Orange County to Santa Barbara. Gabby: What is it like being in such a central Venice Beach location? YL: Humm…Whats the word I could use? Incredible. The customers know they want and they know what they’re getting and they appreciate the quality of the food. Its also incredible because Venice Beach is where I grew up. Gabby: We bet so many things happen in and around this area! What is a really memorable experience that some of the employees and customers at Cairo Cowboy were apart of? Gabby: What sets your Mediterranean food apart from other local Mediterranean spots? YL: 2 reasons: One: authentic recipes, and two: my mom actually makes most of the food. I grew up eating it. Gabby: You guys have been a long time support of the Venice Art Crawl. Have you always supported the exposure of local art? YL: Definitely. That’s what makes Venice, Venice. I grew up in the mid seventies on the Venice Pier and even went to high-school here. Our restaurant and this area is just a continuation of art and performance and the artists who picked this place. Gabby: Best thing on the menu? Thank you so much Ciaro Cowboy for an awesome lunch and even “awesomer” conversation! And don’t forget to join us at Cairo Cowboy on Thursday at 7 pm! The Daily Dose: Jonathan Alco! Check out this video of our previously interviewed artist, Mark ‘MX’ Farina, as he talks a little about being an artist in Venice! Join the VAC at Our Next Mixer at Cairo Cowboy! Come Join us at our first mixer of the new year at Cairo Cowboy! What: Local minded artists, creatives, and business owners get together to connect, discuss art, the community, and Venice Beach! Our mixers are a great way to get involved with the Venice Art Crawl, meet like-minded individuals, eat great food, and make a new friend! Where: Ciaro Cowboy Mediterranean Grill on 46 Windward Ave, Venice, CA 90291! Cairo Cowboy is our feature sponsor this month— Stay tuned at the VAC blog to check out our interview with this delicious restaurant/ community art supporter! Why: Because were cool like that! Check out our first featured “Venice Story” video! Beth Allyn tells us how a bike and a sign changed her life. Recorded at Sunny Bak Studios during The Venice Art Crawl, Dec 19. 2013. 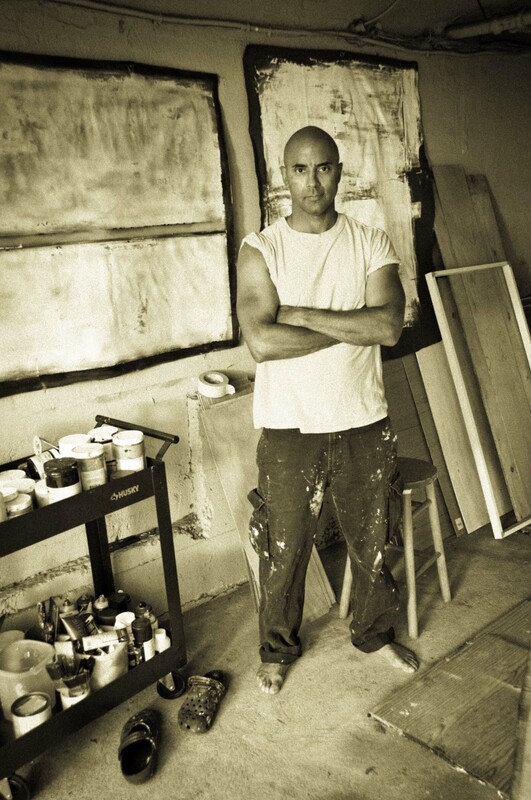 VAC Board Member, Nicole Muyingo, interviews Venice Based artist Matt Warren! Find out what real life experience inspired Matt to become a dedicated artist. I see art as being the expression of an idea. Something that inspires people and makes them think. Good art should raise questions and create a dialogue about the subject matter. I’ve always been interested in art and creating things. As long as I can remember, I would be drawing or making something. I guess I got seriously into art when I was in High School, and was lucky to get accepted onto a Fine Arts course at University without an interview whilst traveling on my Gap Year – and from there I’ve never really looked back. I was born in Guernsey, an Island of the coast of England. I studied my Undergraduate degree at UWE in Bristol, UK, and followed that by studying my Masters at OTIS College in Los Angeles. I’ve worked in the film industry between traveling and lived in Beijing for a few months while on an Artist Residency Program. I’m currently living and producing art in Los Angeles. I work with whatever the project entails – the materials that best help convey what I’m trying to say in the work. I’m a bit of an all rounder, but currently I’m working a lot in pencil. Anything that has more to it than to just look pretty. The story of Christopher McCandless, on which the film ‘Into the Wild’ was based, was the catalyst for a project of mine. I was looking at the myth of the cowboy, and how the idea we have of this character doesn’t really exist, but is just a representation we have forced on us through the movies. McCandless’s story encouraged me to go ahead with the project, despite the risks, and make it a reality rather than an idea. 8. What is an artistic outlook on life? It’s such a big part of my daily process that it’s hard to sum up. It is a way of life, an action rather than a thing. It is a form of freedom and individuality, and a way of thinking. It’s a commitment to make time to create – you get out of it what you put in. It’s a great form of expression and provides the ability to show people literally what you think, allowing a glimpse of what is in your mind. I feel fortunate to have a focus, which directs my career, something I am passionate about that allows me to travel and explore, meet people, and evolve doing what I enjoy. My first trip to A &E as a child was due to falling and smacking my eye on an exposed floor beam whilst exploring a house that was under construction. My second was falling through my neighbors’ roof whilst jumping on the skylight. As I’ve grown up my thirst for adventure hasn’t diminished, so I think having Spiderman’s superpowers would be a good thing for me. 10. Name three artists you’d like to be compared to. Bas Jan Ader is an artistic hero of mine. He was a Danish artist living in Los Angeles, who, in a romantic gesture, attempted to sail single –handed cross the Atlantic in a 13ft sailing boat. What was supposed to be a performance piece, ended when his boat was found off the coast of Ireland, and his body was never recovered. His romantic take on conceptualism really inspires me, as well as how he saw art as a literal and metaphorical journey – a process of discovery. Other artists that I can’t really compare myself to but look to for inspiration are Chris Burden and Allan Kaprow. 11. WHAT is your ‘method’? I work with many different mediums – pencil, paint, video, installation, or whatever is at hand depending on the best way to explore the subject matter. I start with the idea, and then decide what is the best-suited method and material to use to convey that. This contrast can be seen from project to project – a series of painstakingly rendered pencil drawings, compared to a Saloon Bar made out of cardboard and duck tape. 12. What is your preferred subject and why? As an English citizen living in Los Angeles, my art practice explores methods of representation stemming from American popular culture, which I express through drawing, sculpture and performative strategies. Los Angeles is fitting as I explore subjects and themes related to film, Hollywood and celebrity culture. My perspective on America is enhanced through living in the environment of my investigation and production. 13. What’s the best thing about being an artist? Having the opportunity to experience life as much as I can, using art as a means of production to enable myself to do that. Being able to do something I love, and building a career out of it, the freedom it offers, and getting to know and interact with other artists and creative souls. 14. What’s the worst thing about being an artist? Not having a steady income. 15. What advice do you have for aspiring artists? Keep on trekking. Like anything, you have to want to do it. If you’re interested in art, there is always an opportunity – you just have to find it, and be willing to try. My motto is ‘Quitters never win. Winners never quit’, which I have to remind myself often. It’s black or white. You do or you don’t. There is always an opportunity if you want something badly enough, it’s just a matter of finding it. It might take a while to succeed, but it’s when you stop trying that you fail. You have to just do it. All art work on this page is done my Matt Warren. Prints also available online. Interviewed and compiled by Nicole Muyingo. 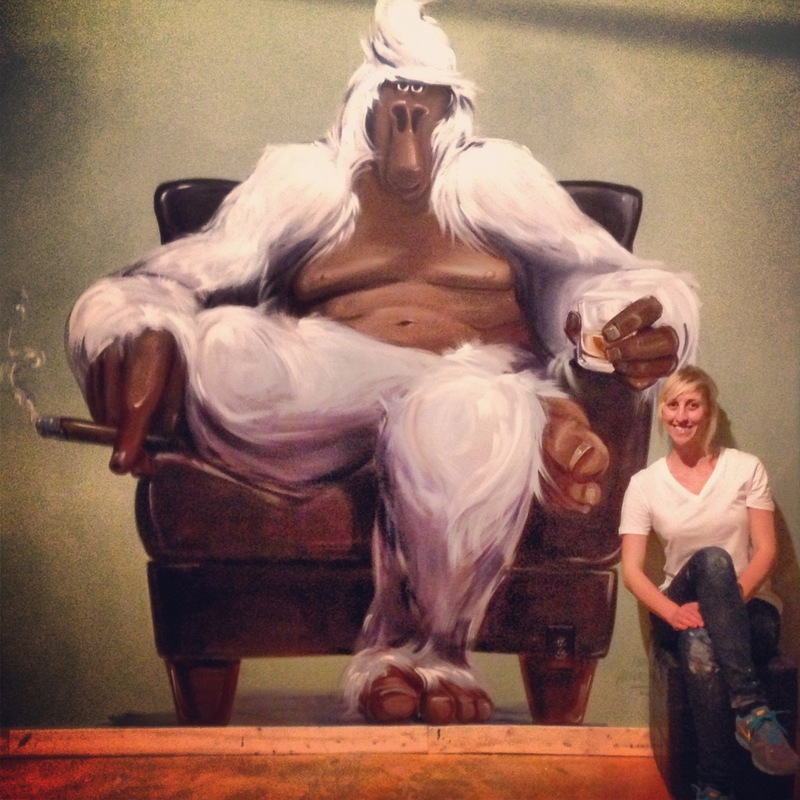 Nicole Muyingo is originally from London, England and currently resides in Venice Beach, California. Nicole has curated and successfully produced many events and exhibitions in Europe and Los Angeles. Her focus is to get people networking and to deliver fun and impactful events in the world of art, fashion and music. Working with the VAC she believes that it is important to keep the history and magic of art and Venice alive. VAC T-Shirt Contest Winner Announced! For those of us who follow the Venice Art Crawl Facebook you already know the big secret! Congratulations to GRACE DUONG for winning the Fall in Love with Art Again VAC T-shirt contest. Thank you to everyone that participated in the 2013 VAC winter shirt challenge! Get a little slice of history this Thursday afternoon with with this weeks VAC Video! Gary Winogrand, once coined, “the central photographer of his generation” by John Szarkowski, the former director of photography of New York’s Museum of Modern Art, was a Jewish Bronx-born photographer and one of the pioneers of what is now known as street photography. Winogrand is mostly known for his portrayal of the diversity of American life, from shooting the Bronx zoo and Coney Island in the sixties to the bohemian lifestyle of our own Venice Beach in the eighties. Artist Interview: Mark X Farina! As we continue with our new year, we will be launching the VAC with a big bang– that means, more artist interviews, more events to look forward to, and of course, MORE VENICE ART! Check out this interview that VAC board member Nicole Muyingo conducted with Venice Based Artist, Mark X Farina! Mark X Farina- Pop Artist, Reverse Engineer, Roma Gypsy. Anything that sparks a reaction. I’m still not convinced I have any real talent, but I received a lot of art training, and I know I’m creative. Studied advertising and the media’s effects on people, but I love art and sports. The conceptual scene that formed from the 1960’s – that’s a big area, but I really sync with that era/ movement. Took a phone shot of the beach sunset one night, then tried to paint it. Observe (often through dark sunglasses) and report. Wow that’s a great question with so many possible answers for me, but I still dream I can fly, not very well, which sometimes abruptly wakes me up. Not sure, I’m still exploring. Work fast, cure slow, destroy before collecting dust. I like gradations and innuendo. Do the work, open the door- if you make it, someone will check it out and let you know. Check out more of Mark X Farina’s work on his website and tumblr! Compiled by: Gabrielle Wooden and Nicole Muyingo. 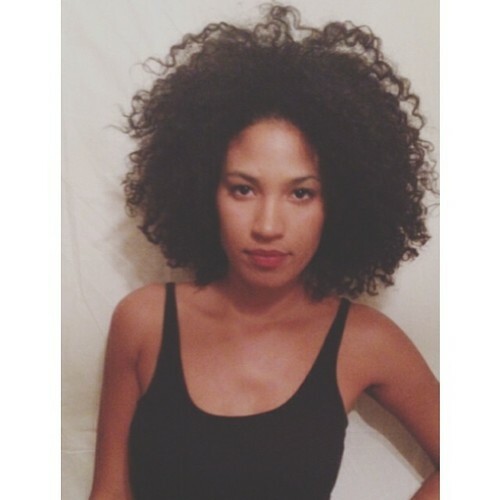 Gabrielle Wooden is a writer currently residing in Southern California. Currently she is a blogger for the Venice Art Crawl and is working on her first novel entitled Blue Barcelona at UCLA’S Extension Writers Program. .